Interest rates are competitive between dealers and other lenders. You may even be able to find no down payment auto loans after divorce. There are typically large inventories of a variety of vehicles at each dealership. Choosing a car that meets your travel requirements, applying for and securing a loan and driving away in your “new” auto – can be completed at a single location. You can often even make your monthly payment at the dealer, too. A dealer can shop your credit profile to a variety of different lenders to get you the lowest interest rate. Dealerships can negotiate loan terms, where a bank usually only offers fixed rate loans. Purchasing from a dealer offers incredible flexibility in every facet of car buying and financing. To find a trustworthy dealership, get recommendations from friends and relatives and learn from their encounters, both negative and positive. Being aware of dealers to avoid is just as valuable as knowing where to try. 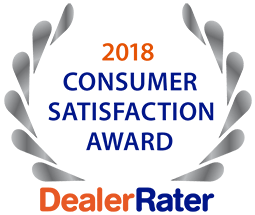 For a varied selection of pre-owned SUVs, trucks, cars and mini-vans, in addition to reasonable auto financing in O’Fallon, visit the pros at 5 Star Auto Plaza or call us at (636) 940-7600. We are ready to create a memorable used car buying experience from beginning to end.